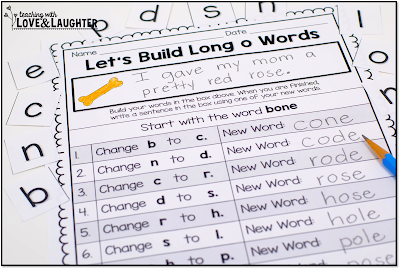 My last blog post was all about building words with blends and digraphs. Now, I'm here to show you a small group game called Building Long Vowel Words. Learning to blend and decode individual sounds in words helps children build strong word attack skills and is crucial to reading success. 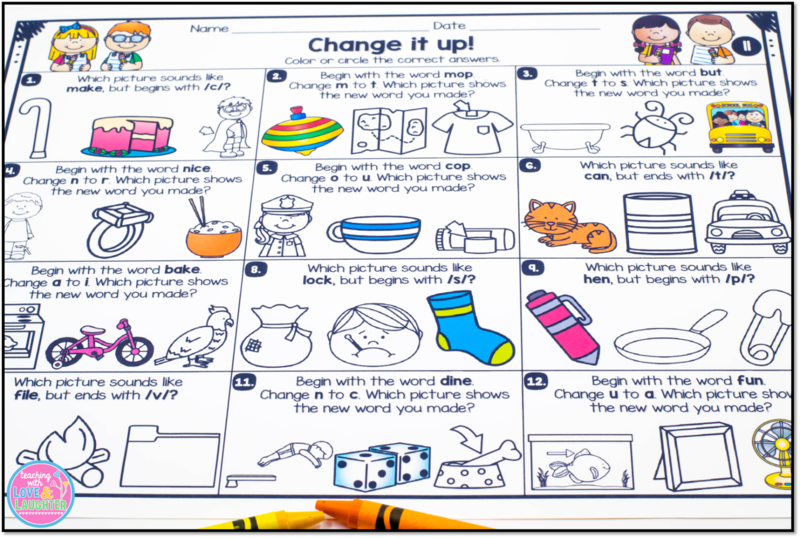 Along with all of my word building activity sheets, I also like to have plenty of hands-on games available, to keep my students learning and engaged. Playing games helps build social skills and, as long as you model proper game etiquette, students can play them at stations, while you are meeting with your reading groups. Through the years, my students have chosen to play academic games during free time. Even though I tell them they don't have to! This makes my teacher heart happy! 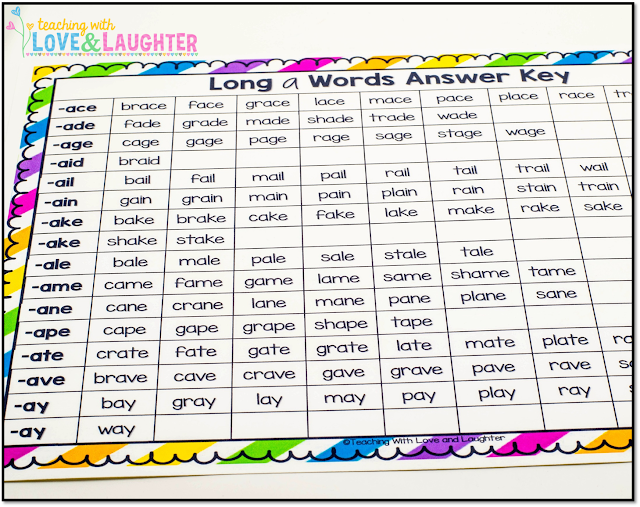 I start teaching long vowels in kindergarten. I teach all about the magical powers of the silent e at the end of the word (Super e) and then the children continue to learn more and more long vowel word families in first grade. I like using word families to teach long vowels because learning and practicing the rime patterns helps children familiarize themselves with many more words that contain the same rime. 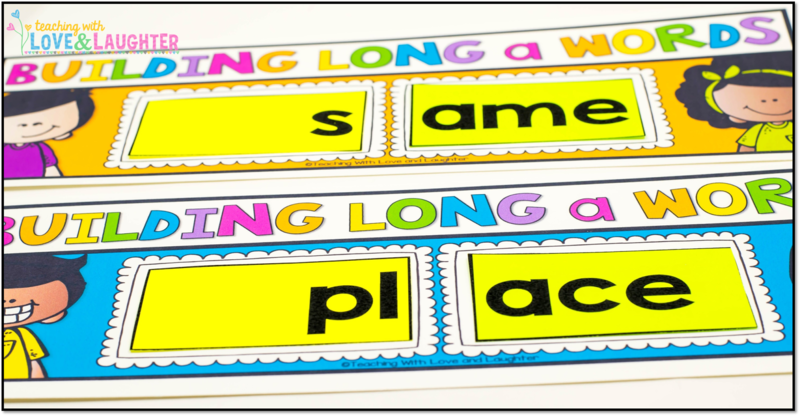 In the game, Building Words With Long Vowels, students combine onsets and rimes, focusing on long vowel word families. 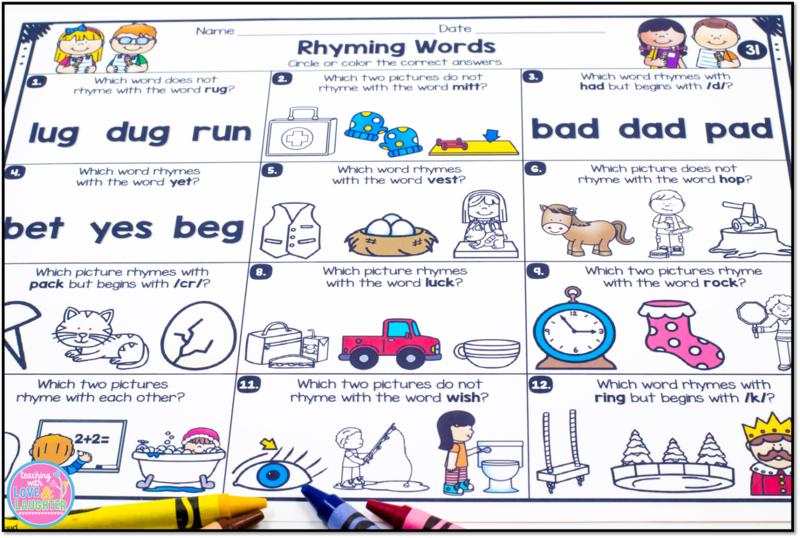 The more they play and build words, the more they understand that there are systematic and predictable relationships between letters, their sounds, and the words they make. Here is the game board. 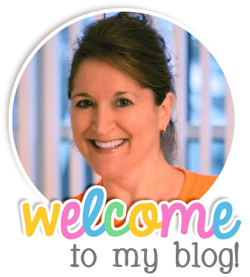 It's cute and colorful, and the children enjoy moving their tokens from start to finish. The game is perfect for 2-6 players. They place the cards on their mat. Each player has their own mat. They read the word out loud. If the word is a real word, they write it on the recording sheet (this step is optional) and roll the dice. 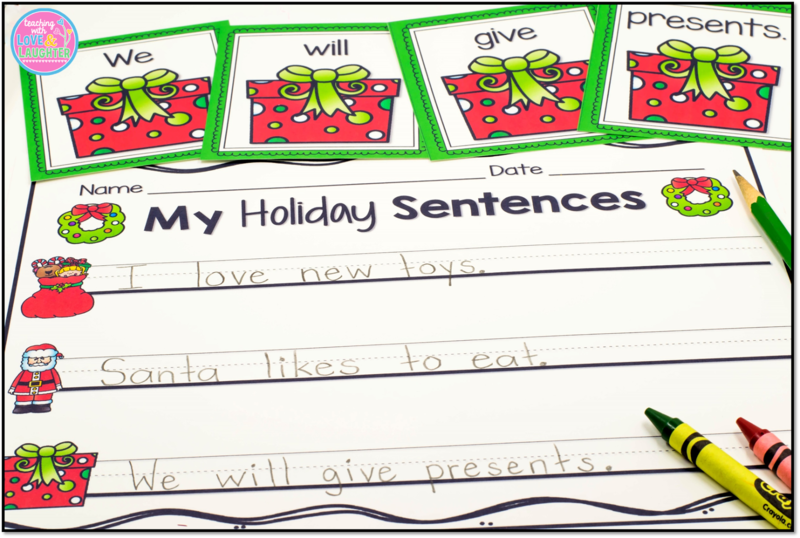 If the word is a nonsense word, they write it on their recording sheet and then stay on the same space. They only move ahead if they make a real word. Student directions, with and without a recording sheet, are included. This is the recording sheet. I like to use it for extra practice, but I know that not all teachers like recording sheets. Students can check their answers on the answer key, if necessary. Some of the words may be new to them, so I make sure the children know how to look up a word in the dictionary, to find its meaning. They've learned lots of new words playing this game! And there you have it! Students move around the board, reading and writing and learning long vowel words. There is a separate game for all five vowels, plus, three extra games that contain a mix of all long vowel word families, for a total of eight games. Here are all the word families included. Once students understand that the vowel says its name, they are able to read all the words, even those with vowel teams. This game can be played all year long because there are so many different words that can be made. Each game played is always different from the last. 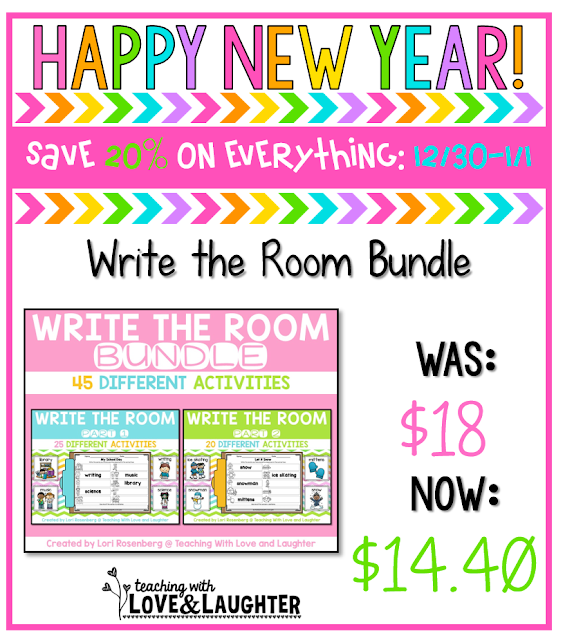 It's perfect for stations/centers, small groups, RTI, and FREE TIME! 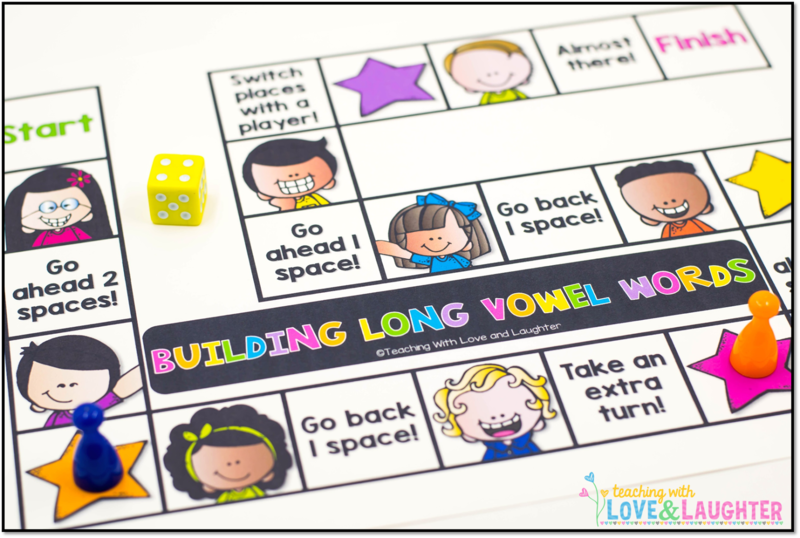 If you are interested in adding this long vowel game to your classroom, just click here or on the image below. 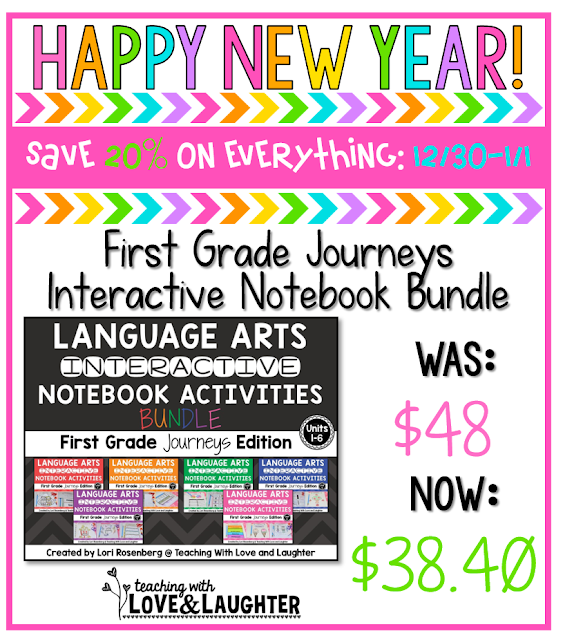 Grab it while it's on sale for a few days! 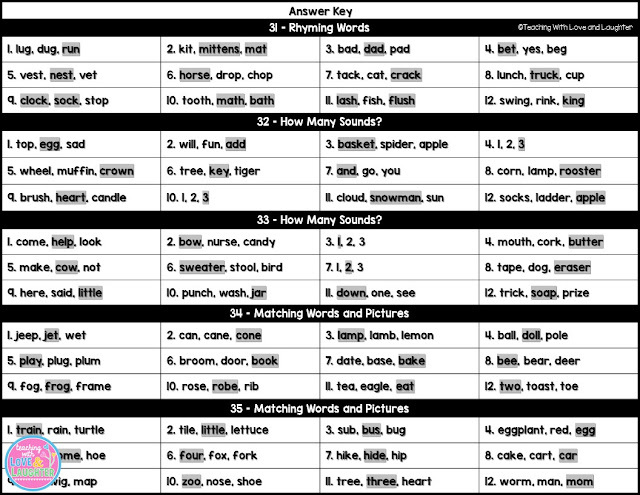 Word building is a research-based strategy that has been proven to be highly effective in teaching children to decode and blend individual sounds in words. Manipulating sounds enables students to become familiar with the patterns of sounds in words. 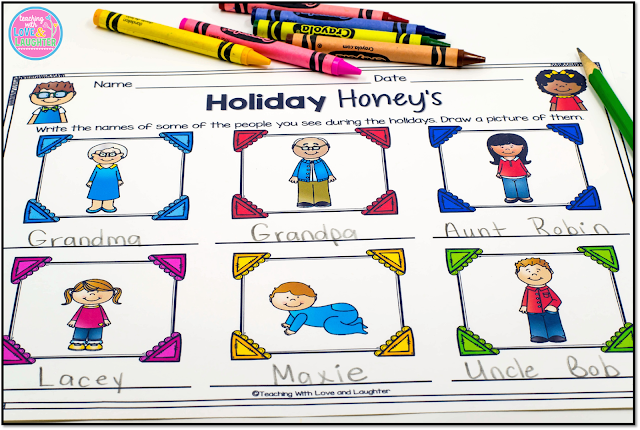 Through the years, I have worked very hard, creating activities that my students can use independently, to help them practice this important skill, as often as possible. My students practice building word family words. Click here for a FREE activity sheet! 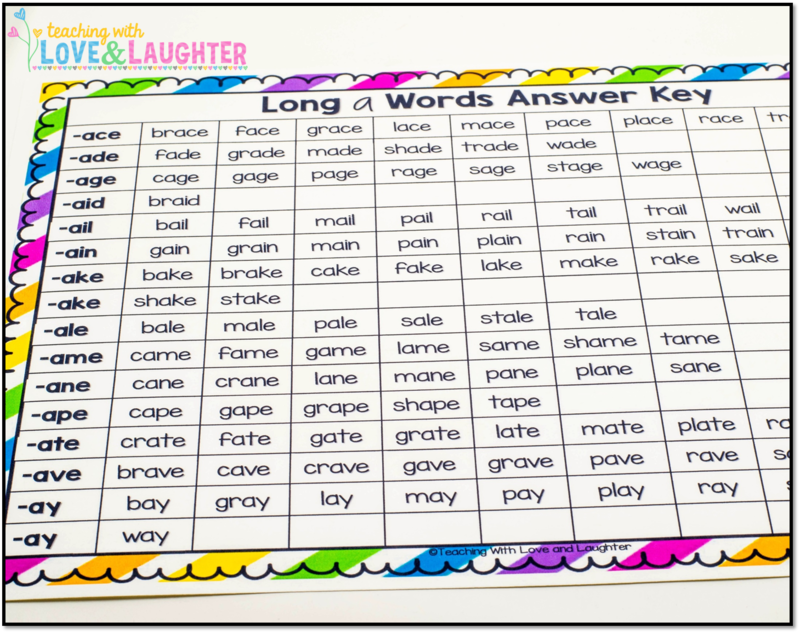 And words with short and long vowels. And words with vowel teams. 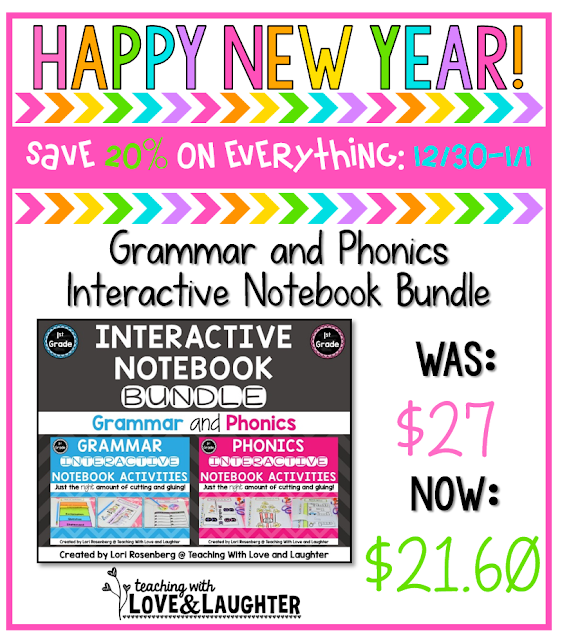 And more words with short and long vowels, and words with digraphs, and words with ar. 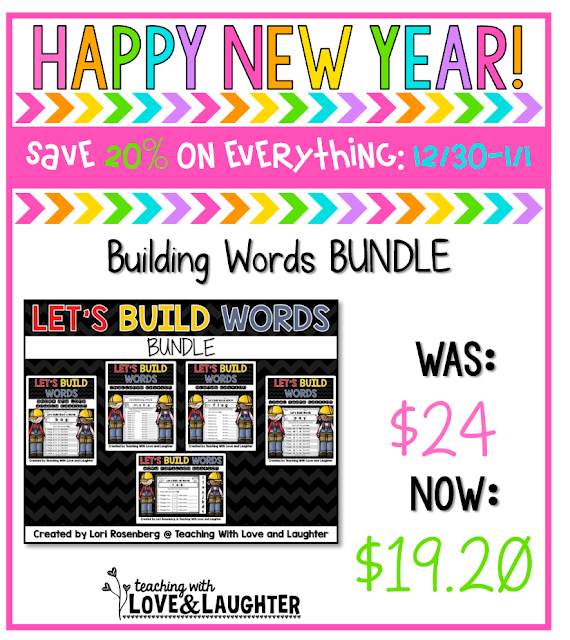 And with all these word building activities that I have, you'd think I would be satisfied! LOL! But, recently, I had a reason to go back to the drawing board, and create one more building words pack! I was working with some first graders, who were having difficulty reading words with blends and digraphs. They could read some of them in isolation, but were very unsure of themselves when reading the words in the context of a sentence. They said the words were just too long. So, we worked on building CVC words with letter tiles and then replacing the first letter with a blend. 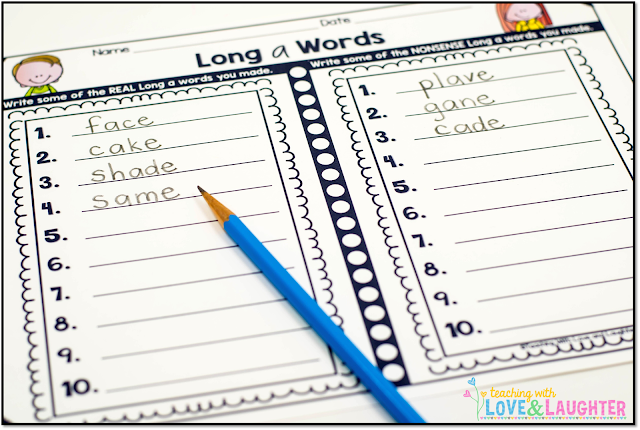 I sat and came up with some CVC words that could become longer words when you added a blend at the beginning. They built the words with the letter tiles, and then wrote the words, and then read the words, and we repeated this for awhile until they realized that reading words with blends wasn't so hard! 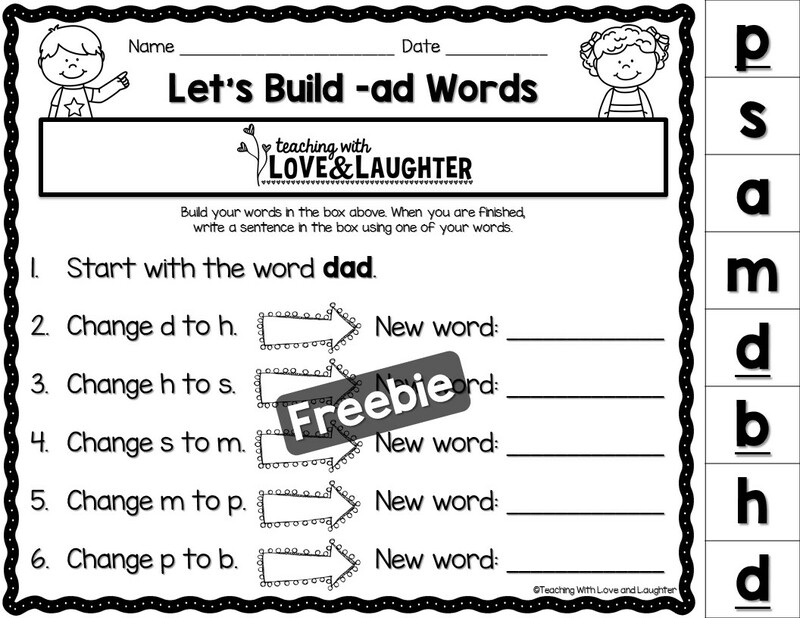 While we were working together, I kept thinking, "Wouldn't it be nice to have some building words activity sheets already made, where you could add blends to CVC words and not only read and write the words in isolation, but read the words in the context of a sentence?" And, that is how this new pack evolved! and read and write the new word on the line. 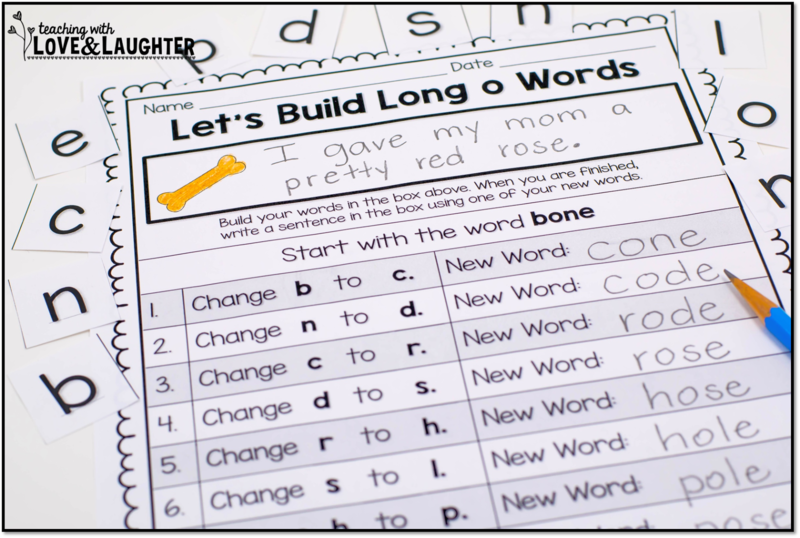 Then, they read a sentence, and highlight both of the words they built. 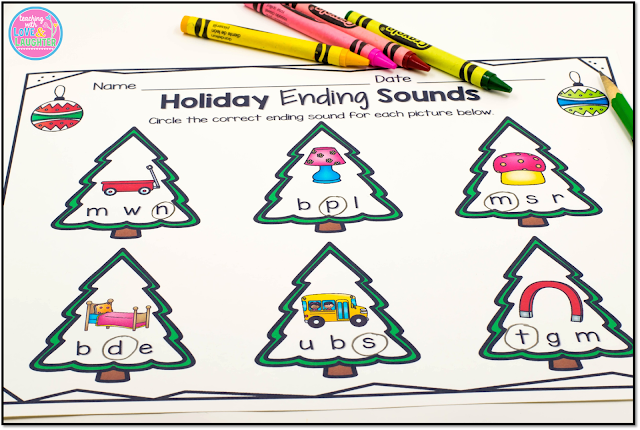 Each of the 8 blends activity sheets begins with a CVC word or a word where the final consonant is doubled. 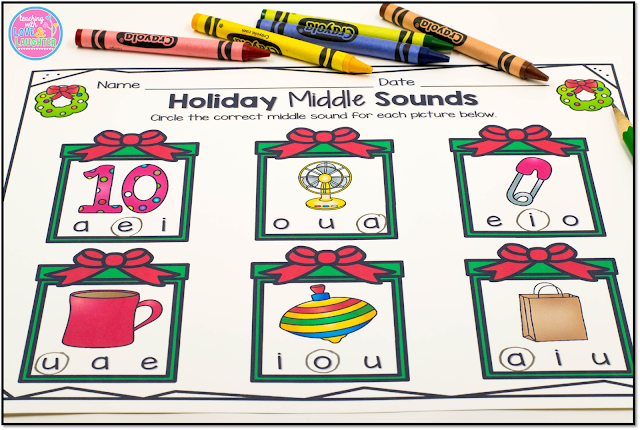 This systematic, direct approach, really helped these students learn to confidently decode and blend individual sounds in words and become familiar with the patterns of sounds in words. 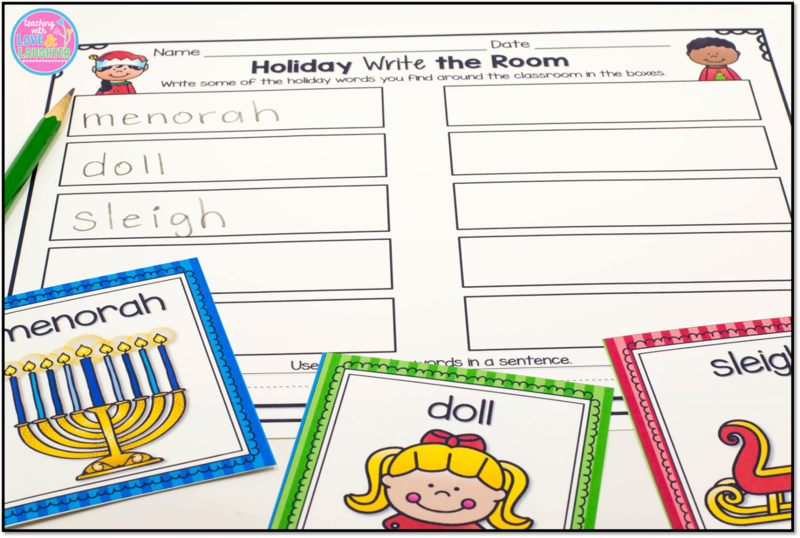 They are great as a station activity or small group activity. I love to use them during RTI and for homework, as well. 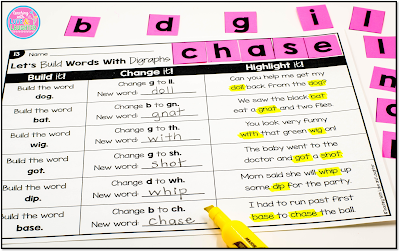 Here's an example of building words with digraphs. 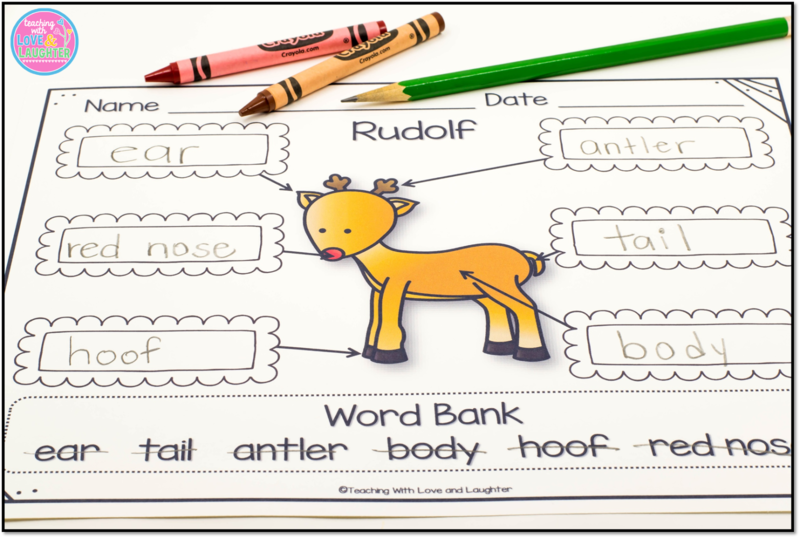 All of the 8 digraphs activity sheets begin with a CVC, CVCe, or CVCC word. Students change one letter and replace it with a beginning or ending digraph (ch, ph, sh, th, wh, ck, gh, kn, ll, ng, tch, wr, zz) to make a whole new word. I also included 2 building words with blends and digraphs activity sheets. 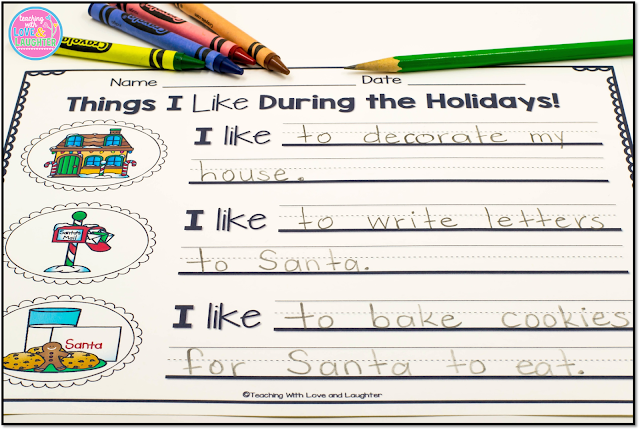 Each sheet begins with a CVCC, CCVC, or CCVCC word. 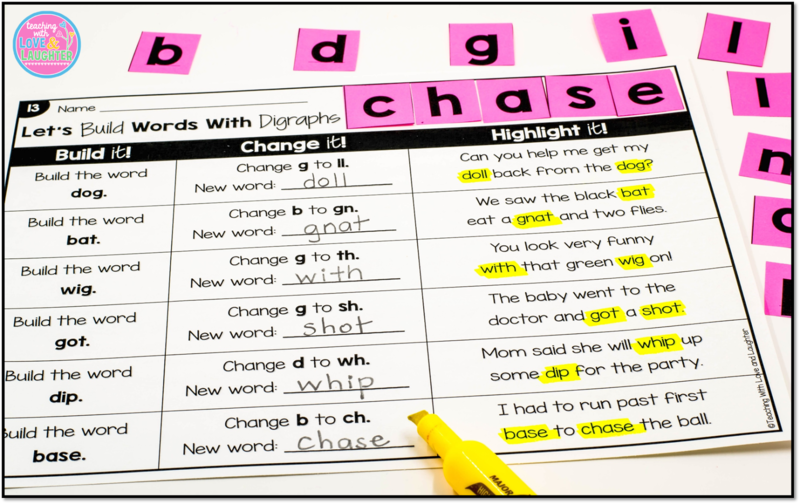 Students change a blend to a digraph or a digraph to a blend, to make a whole new word. 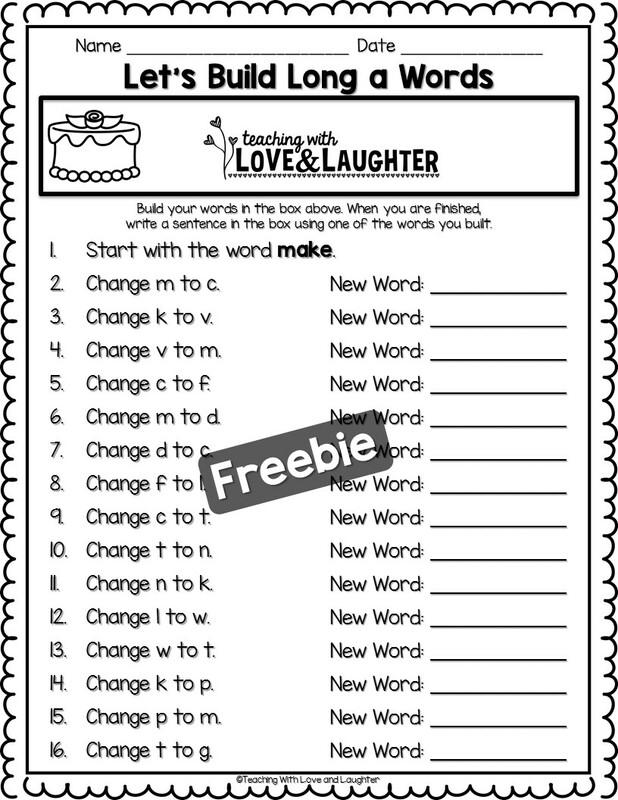 Each activity sheet includes the exact letter tiles needed to build the words on the page. You can print a set of letters for each student, or print a few sets on different colored copy paper and store them in separate Ziploc baggies. I recommend printing them in different colors so the sets don't get mixed up. 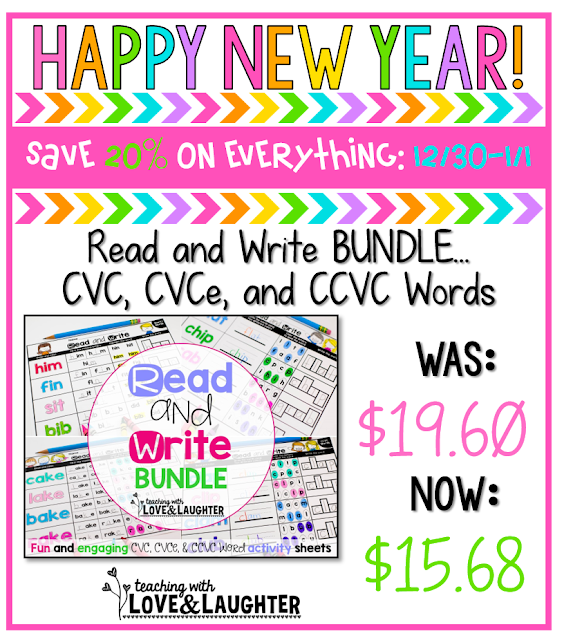 You can save the letters to use year after year. I also included a page with all 26 lower case letters and a page with all 26 capital letters. 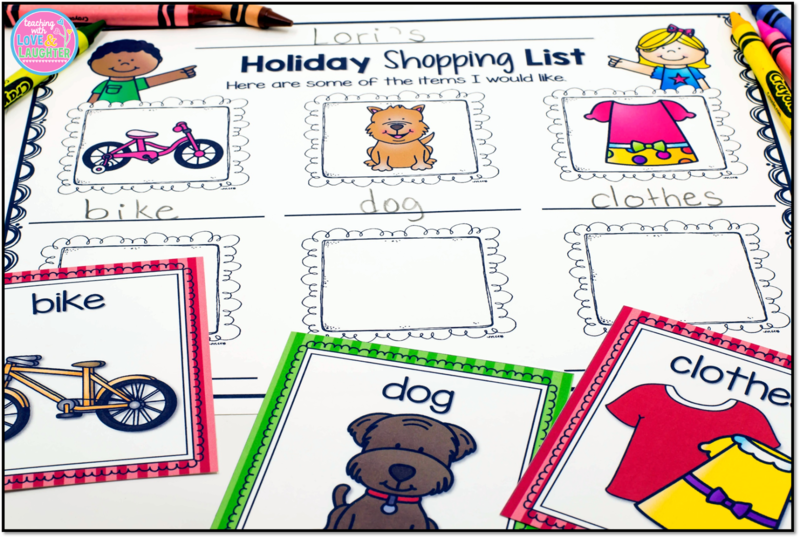 You can print a few sets on different colored copy paper and store them in Ziploc baggies. This way, you don't need to print a new set of letters for each activity sheet. If you would prefer not to print any letters, you can use letter tiles instead. 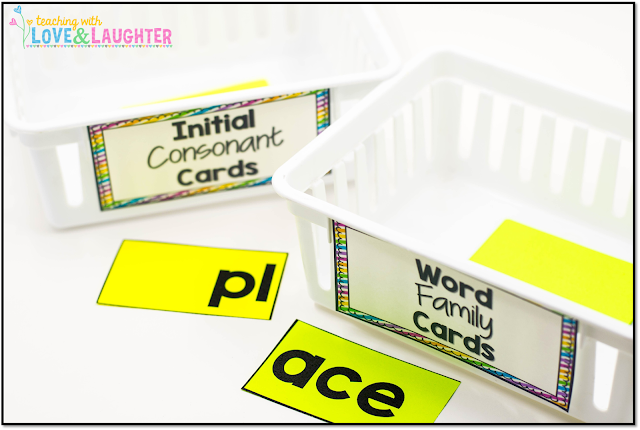 Click here to read a blog post I wrote, which includes visuals of how I store my letters. 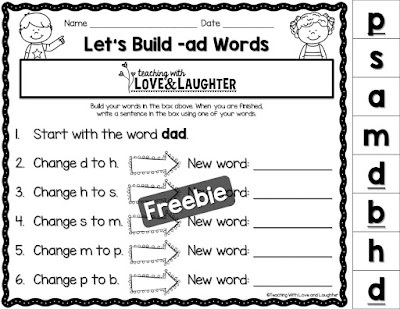 If you are interested in these building words activity sheets, you can find them here, or by clicking the image below.